Closing the Customer Feedback Loop With Social Listening. We interviewed Chris Dickerson of marketing agency We Are Unicorns on the value of social listening. In the olden days, marketers could only dream of finding an easy way to gather customer feedback. How times have changed. Today, the same individuals are faced with the opposite problem: there’s too much feedback (if you know where to look). One of the first places to get a temperature check of what people are thinking is social media. 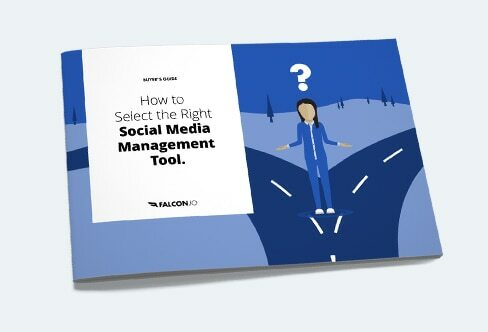 Social media is a rich channel through which to collect valuable customer feedback to improve customer service and provide valuable insights to your entire organization. But where do you start if you want to tap into social media to monitor conversations about your brand and engage with your customers? It’s simple—social listening. We had the pleasure of speaking with Chris Dickerson, Senior Strategist and Partner at marketing agency We Are Unicorns about this topic—this article also moonlights as a Q&A. But before we proceed, let’s get on the same page first. Is it social listening or social monitoring? Social listening is the active tracking of social posts and comments around topics, keywords, phrases and brand names of interest, ultimately leveraging insights gathered to create content catering to those very audiences. Monitoring sees trees; listening sees the forest. The main difference is that with social monitoring you’re interested in engagement with the intention of taking immediate action, whether that be replying, liking or forwarding a message to another department. With social listening, you’re after the essence behind all the conversations happening out there on the web to incorporate any findings into your strategy. Social media listening: Keeping apace with your social community. Also see: Social Media Listening – Why it’s Critical for Brands. Q: Why is social listening important? Chris: We find it valuable to keep our pulse on what our customers are saying and it keeps us up-to-date on the latest trends and how we respond to those. Tracking mentions is essential to an effective engagement strategy. However, when you examine the context and larger trends from those conversations, social listening can help you communicate better with your target audience. Twitter alone contributes to 500 million daily tweets—so which conversations does one listen to? It’s humanly impossible to go through every single interaction with this volume of consumer and industry data. But it’s important to know what people are saying about your brand—when potential customers see posts praising your customer service or blasting you for a lost package, the word can spread fast. That’s where listening from a distance comes into play. Q: What do you use Falcon’s Listen module for? Chris: We like to check in from time to time on sentiment and see the 5,000-foot visual view of how people are using our hashtags, what our customers are saying and what type of content images they are posting to see if we can feed into that. Use social listening if you want to learn everything about your brand before and after you make a move on social. Also see: Uncover Social Secrets: How to Use Social Listening. Q: What’s your process for monitoring? Chris: We check in daily with most accounts. We have templated FAQ responses and a process for up-leveling questions and comments we cannot answer and assign those to our client customer service teams to answer. It gives us an opportunity to see if something exciting has happened, positive or negative, and to see which way the wind is blowing. Collecting and acting on customer feedback is imperative for any business looking to provide users with the products or services they need. It’s also a must for measuring customer satisfaction among your current customers. Getting a handle on how customers view your product, support and company is invaluable. Q: What kind of feedback will it get you? Chris: We get all kinds of feedback, from positive to negative, neutral and everywhere in between. We love seeing how people are using our clients’ products and what they are doing. When people are excited enough to share your product and experience with their community, this is a valuable peek into a day in the life of an everyday user. We also love hearing about what is not working. In many cases, we have been able to identify a defective product or feature and provide feedback to our clients weeks or months faster than the traditional feedback channels. In this case, the company can be proactive with their customers and vendors and fix the issue now vs. later. It helps with innovation and the customer experience overall. Before you start collecting feedback from customers, take a moment to clearly define why it is that you are seeking that feedback. Having your desired outcomes outlined will only provide clarity in the otherwise muddy waters of understanding your customers. What will I do with all that newly-acquired data? Which channel for collecting customer feedback works best for my goals? A feedback loop is an internal step-by-step procedure that helps businesses respond to and address customer issues online. If used appropriately, the feedback loop helps you avoid repeating customer service mistakes. Q: Do you employ feedback loops? How do you distribute what you find? Chris: If and when we find something interesting, we share it internally, brainstorm ideas on how we can use that information either tactically or anecdotally and present that to the client for a next step. I love being able to be a thought leader for our clients. Let’s see the customer feedback loop in action. Your customers should feel valued and heard if you follow all four steps. By the way, it was way too easy to find a recent example for this blog post. Outbursts of this nature are a common occurrence in today’s times. Here, a customer complains and nobody from the house of AT&T responds. Even worse, guess who did? Their telecom competitor, T-Mobile. At its core, this is social customer service which you could miss on your owned social feeds, but if you miss it a second time through social listening it’s an embarrassing and costly social media faux pas. You don’t want to get into it with a troll—your time is better spent putting out fires elsewhere. But if you find a genuine customer service concern, it’s critical to respond. If you’re about to pat yourself on the back for a 24-hour response rate I hate to burst your bubble, but in cases that involve a disgruntled prospect or customer, you’re tardy for the party. It is crucial that you’ve set up listening projects that will pick up even the most sensitive brand mentions and alert you at the slightest increase in chatter. Once you receive a storm alert it’s equally important that you respond to issues quickly. At Falcon.io we have an average response rate of five minutes or less within our in-app customer chat system and 4 hours on Twitter. A sample social listening project in Falcon.io around competing cereal brands. There will be times when you cannot resolve an issue in a short time frame and that’s not the end of the world. Simply communicate to the customer that their message has been received and they will, in turn, feel like their voice was heard. You may not know all the answers but you know who can. No matter the feedback loop identified, you want to be consistent with your responses and their handling. But who responds to the customer? And is it always the same person or the support team? Are incoming messages assigned or forwarded via email? This is entirely your call, but remember that social media moves at the speed of light and that customer expects a resolution within a reasonable time from the original comment or complaint. A personalized touch: Delta responds within 3 minutes and signs each tweet with airport-code style initials. Remember that the main reason you are gathering customer feedback is to help improve and strengthen your business. The data you’ve gathered will help you think about ways to create an experience that will exceed customer expectations. In a perfect world, by being on top of how your brand, your products, and your industry are perceived online, you’ll get out in front of your competitors. Q: Which businesses are demonstrating a clear awareness of the social listening zeitgeist? Chris: A good example of this is with the recent Facebook data scandals. After we learned about the Facebook data abuses and how they were collecting text and call logs on Android phones, Tim Cook, the CEO of Apple, reiterated his thoughts that “privacy is a fundamental human right” and that Apple limits the amount of data it collects from its users. At the same time, Starbucks is rolling out a program requiring users to provide their email and data to access their store WiFi networks. I’d argue that if Starbucks was really listening to what users were saying online about personal data collection and privacy, they would have delayed or scrapped the rollout. As a result, they are getting pushback from many people and taking an avoidable PR hit. You can very easily learn what your customers are struggling with through social listening. If customers have a means to regularly submit feedback, that will make its way to you on its own. It will negatively affect your company if you choose to ignore the voices coming from social listening. A fierce commitment to collecting, classifying, and sharing customer feedback plays an important role in pushing your product and business forward. Chris: Customer feedback is SO important. They are using your product in many different scenarios and environments that you may have never planned or tested for. These real-life users can and will provide valuable feedback that can help your marketing and R&D teams continually improve. By actively monitoring and engaging, you have the power to not only learn from your customers but also have an opportunity to stoke them out to know you are there, listening and willing to help. Listening is a great way to connect faster and take care of any issues before they get out of hand. If you’d like to chat about social listening projects or feedback loops, don’t hesitate to reach out to us on social or our friends over at We Are Unicorns.